The books that I remember the most are the books that make me cry. The books that make me happy to be alive, and also a little afraid. Books that remind me life is not all sunshine and happiness, that remind me that life is really hard. Books that don’t necessarily have a happy ending, because these books are about humans with real feelings and with real things happening to them. 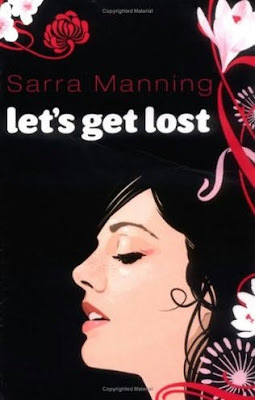 If there’s one book I can recommend to everybody in the whole entire world, it’s Let’s Get Lost by Sarra Manning. Sarra Manning has written so many books, and every single one of them is absolutely brilliant. But this book, Let’s Get Lost, I can barely begin to describe. But I’ll try. Let’s Get Lost is about Isabel, a girl who no one, repeat no one, wants to mess with. Not her friends, not her teachers, not even her father. Nobody understands her, even though people pretend they do. If she had a dollar for every time someone tells her that they’re “sorry for her loss,” she’d be rich. Not too long ago, Isabel’s mother died in a car accident, and Isabel almost died too. Isabel won’t tell anyone what actually happened. She just holds it all in and puts up a wall around herself which no one can seem to get through. No one but Smith. Smith is different, Smith is an exception, and Smith absolutely drives Isabel insane, in the best possible way. He knows how she feels, and he understands that she’s not ready to talk about it, not yet at least. Isabel, of course, falls in love with him. Let’s Get Lost is a sad book, but it’s not one of those depressing books that just make you feel like absolute crap. This is the only book I’ve ever read that has made me cry so much I’ve had to stop reading. My eyes were so full of tears at one point I just had to put it aside and let myself cry. Once I started reading again, it happened once more. This book reminded me how much I love my mom. And usually 14 year old boys are monsters to their mothers, but my mom is everything to me. This book changed my life, you know? That’s what this little post/essay is supposed to be about. 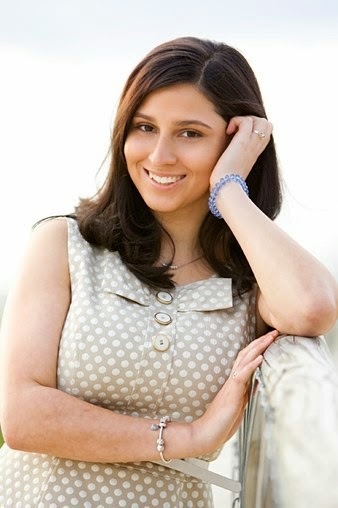 Let’s Get Lost is about a girl who is falling apart, a girl who is self-destructing. A girl who has no idea how she’s supposed to feel, so instead she just doesn’t feel at all. Let’s Get Lost is the book I wish I’d written. 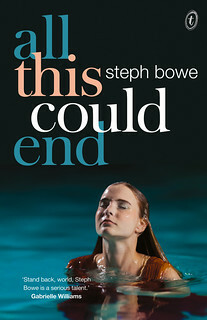 The day I finished this book, I’d had a horrible day. I came home, sat on my floor, and read over half of this in one sitting. Even if I can’t tell you exactly how this book changed me, it did. If you don’t like crying while reading a book, don’t read this. But if you want a book that will remind you that it’s okay to be unhappy sometimes, if you want a book that is as real as they come, Let’s Get Lost is the one for you. Robby writes an excellent book blog called Running For Fiction which I encourage you to check out, and he's also an aspiring author. 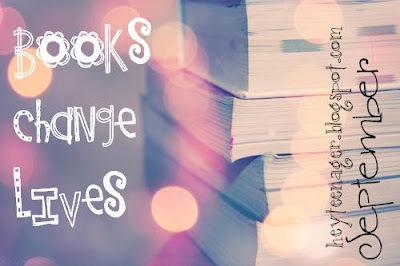 This guest post is part of Book Change Lives September, on Hey! Teenager of the Year. To read all the guest posts, click here. I'm 24. I write and sleepwalk. 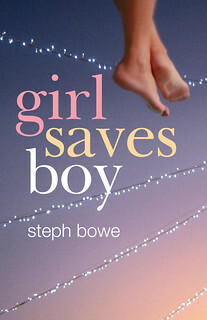 I'm the author of YA novels NIGHT SWIMMING (Text Publishing, 2017), ALL THIS COULD END and GIRL SAVES BOY. I divide my time between Melbourne and the Gold Coast. 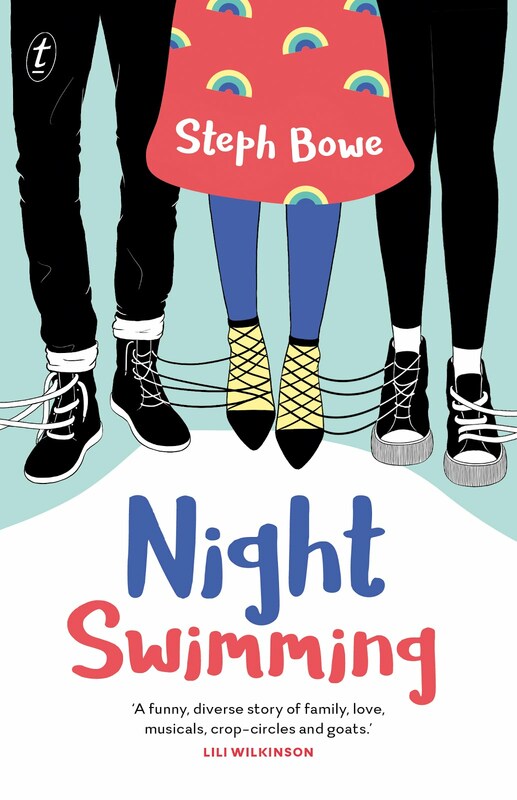 This blog is about reading and writing books for teenagers, mostly. It's a pleasure to make your acquaintance.